Architecture today is seen as something static and unresponsive. However it is time to take a hint from biology and allow our buildings to grow, adapt and self repair. With a strong focus on mycelium, I have created an algorithmic bio scaffold, choreographing the growth and decay of this organic material. Sourcing inspiration form the medical industry and tissue engineering, this bio scaffold integrates both digital fabrication and biology. The 3d printed structure is seeded with native cells and proteins in order to encourage cell adhesion and tissue regeneration. Being a biocompatible and bio resorbable material, the scaffold is designed to degrade over time. However, this project proposes the question of how these characteristics of biodegradability and biocompatibility may occur outside of the human body. Furthermore, can these characteristics be extracted out of the medical field and be applied to an architectural context. By studying the characteristics of mycelium through a previous research project, I discovered that fungus absorbs nutrients through its cell walls. 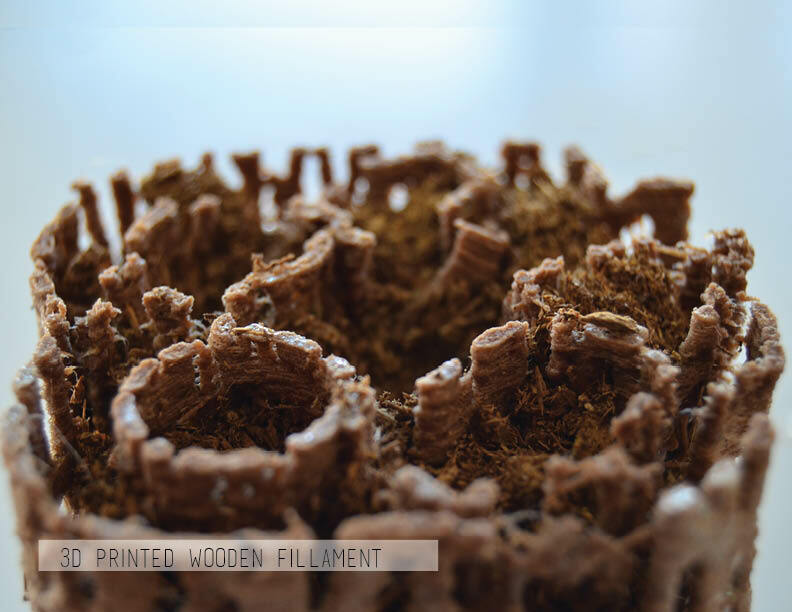 Therefore, by providing it with the right scaffold, the mycelium will eventually degrade the material by absorbing its nutrients. 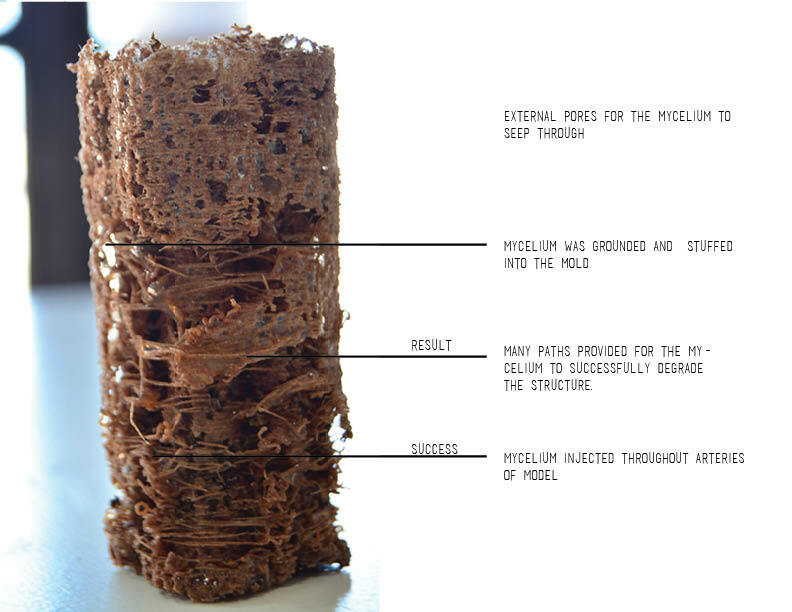 Therefore, similar to the bio scaffold, the objective of mycelium is to gradually replace the implanted scaffold. Whilst the mycelium was previously tested on a larger scale, for this project I will be attempting to control growth by focusing on the material through a micro scale. By applying the mycelium to various scaffold typologies I will be choreographing and controlling its orientation of growth. 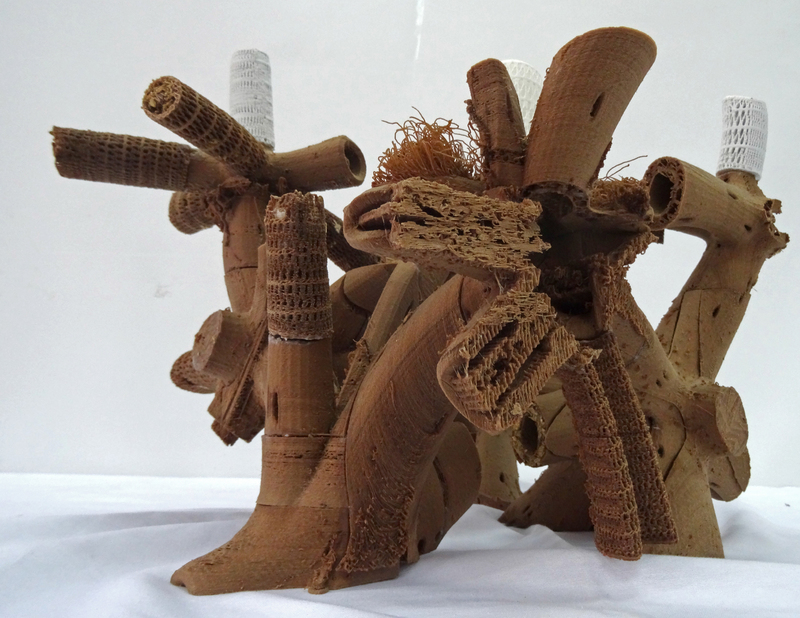 Sourcing inspiration from the medical industry, various biodegradable materials will be tested. With the knowledge of which organic materials the mycelium successfully degrades, I will be creating a number of prototypes. These forms will include digitally fabricated scaffolds made out of timber, bamboo and PVA (a water soluble filament) will be produced. These bio materials will 3d printed simultaneously in order to produce a complex geometry of varied patterns and typologies. In order to revolutionise and ‘hack’ this mundane ideology of the scaffold, I will create complex geometries and pathways for the mycelium to seep through. Sourcing inspiration from nature, this biomimetic structure is varied in porosity, materiality, scale and texture. Therefore, this bio scaffold will be based on a mathematical algorithm that will strategically determine the growth and form of the mycelium. In order to utilise the structural features of the mycelium which include its ability to hold in tension. The mycelium will be strategically injected within areas of the scaffold that are in need of support. 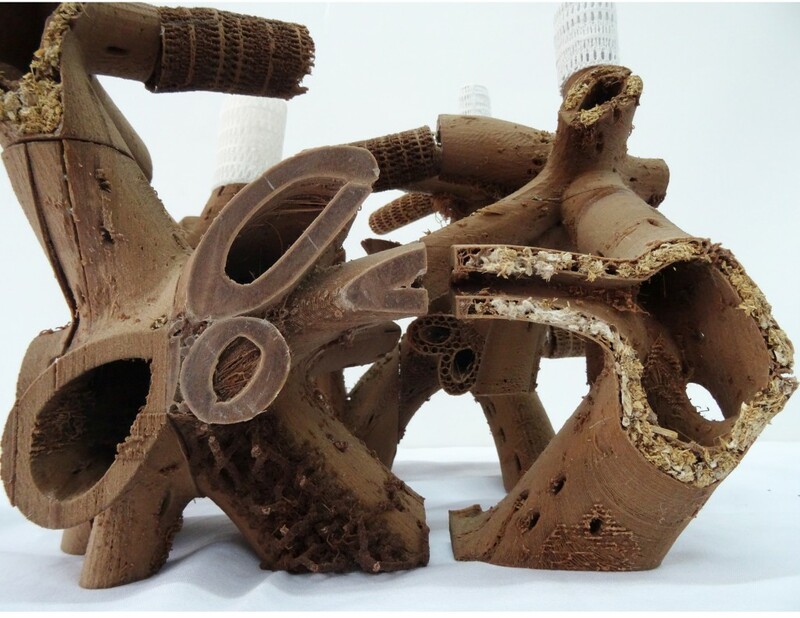 In order to apply this concept of biodegradability to an architectural context, the final form was printed at a 1:1 scale as a table. After conducting various tests to the material, it was discovered that the mycelium block works best in compression rather than in tension. Therefore in order to utilise the structural features of the mycelium the table is able to withstand any external forces and pressure that is applied to the surface. Ultimately this concept is designed to allow our buildings to become one with nature and be transformed into living breathing organisms.